The Stamford Brook development comprises 700 energy-efficient new homes on land that once formed part of the National Trust’s Dunham Massey estate. The brief was to implement a sustainable development at a commercial scale. 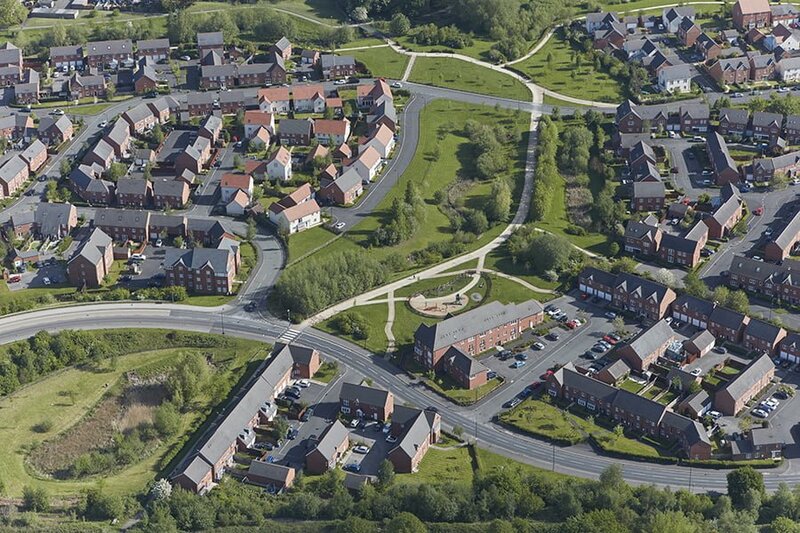 The whole scheme has now been built and is a highly successful award-winning new neighbourhood. 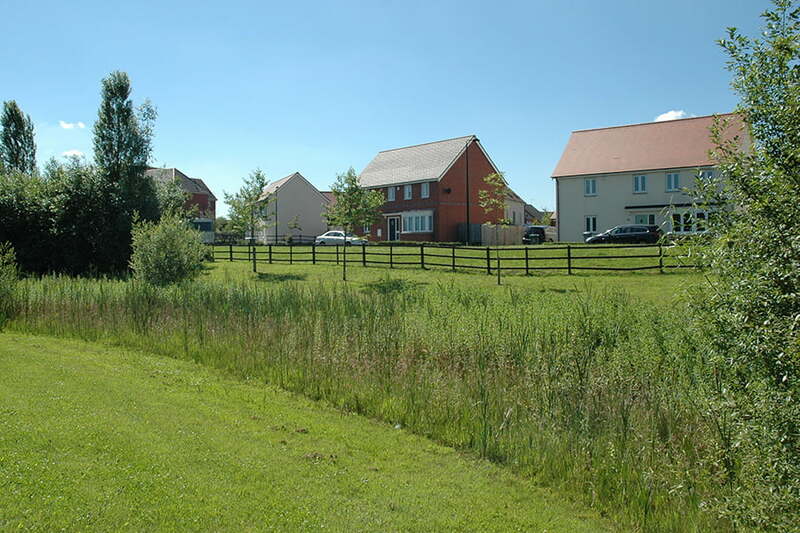 TEP produced a landscape masterplan, development framework and design guide and subsequently provided planning advice at each phase of the development. 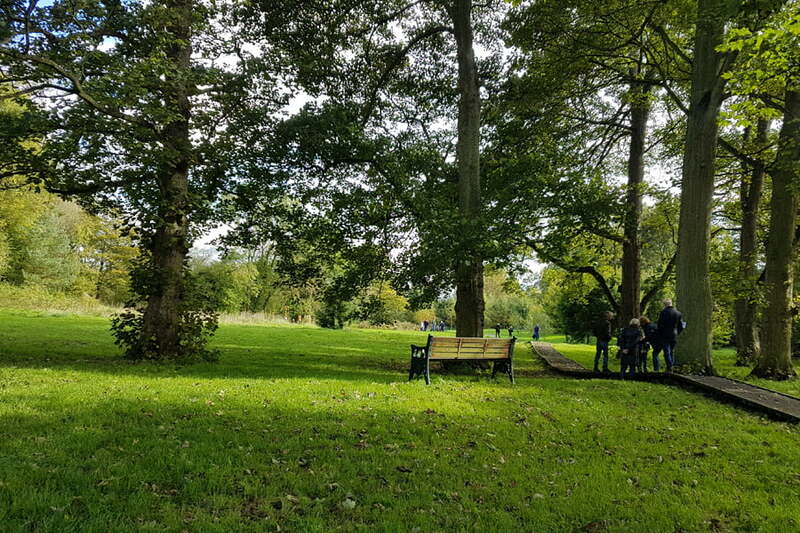 This included making an outline planning application accompanied by an Environmental Statement, followed by several Reserved Matters applications for the individual phases. 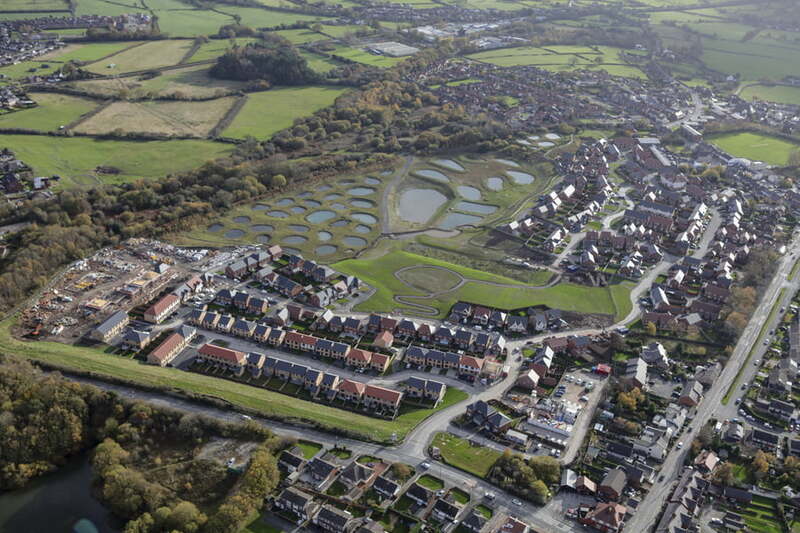 At the outset, TEP undertook ecological surveys and produced detailed landscape masterplans for the development and open spaces, including the river corridor, attenuation ponds, wildlife corridors, footpath/cycleways, play areas and community woodland. 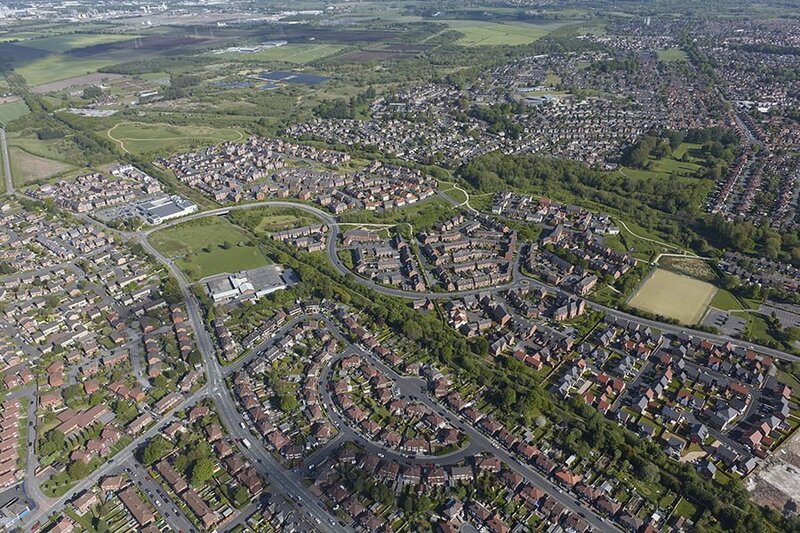 We carried out consultation with the neighbouring community at masterplan and planning application stages. 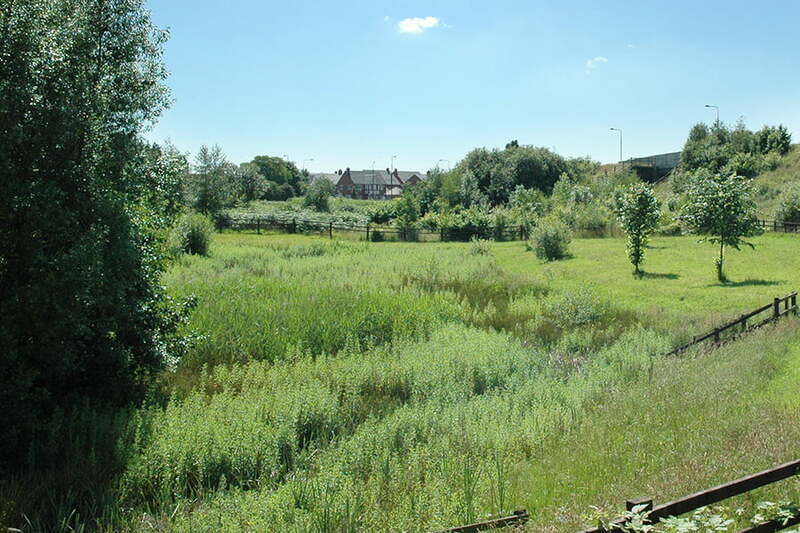 An innovative feature is the creation of a new naturalistic valley for Sinderland Brook. A key part of the site’s green infrastructure, the remodelled river reduced flood risk to property and enhanced biodiversity. 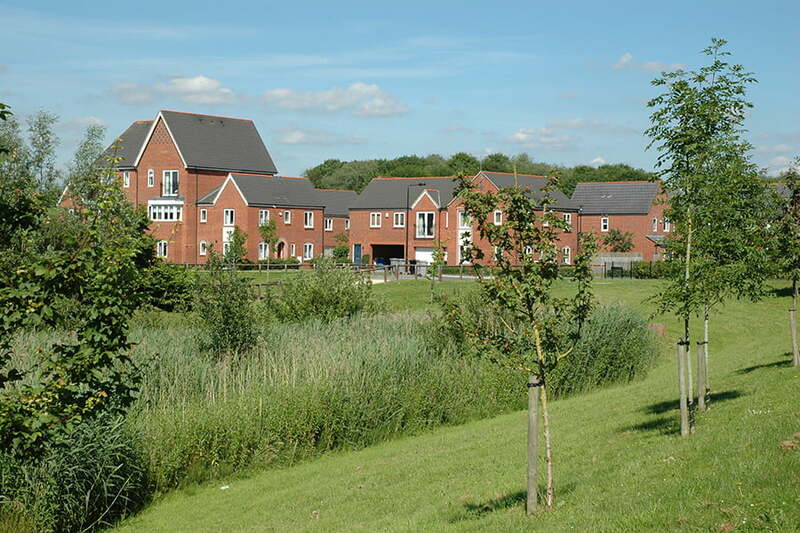 We provided landscape management plans and assisted the residential management company with information on how to organise the routine landscape operations. TEP was also commissioned by Waitrose to design the landscape scheme for the Local Centre.